-Kenda KIKUYU is fast establishing, has great wear recovery, beautiful winter colour and is drought tolerant. -Kenda KIKUYU is unlikely to seed. 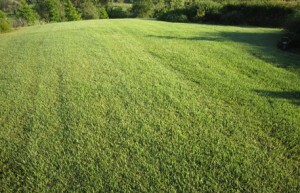 -Kenda KIKUYU Is perfect for sunny home lawns that will get a lot of wear from kids or dogs. -Kenda KIKUYU-it is not recommended for shade or around gardens with no hard edges, as it will grow into them.